Motivating people is my passion! When I first realized I had the gift, I studied some of the top motivational speaker in the world. I now have my own style and love the positive feedback I receive from the clients that hire me. 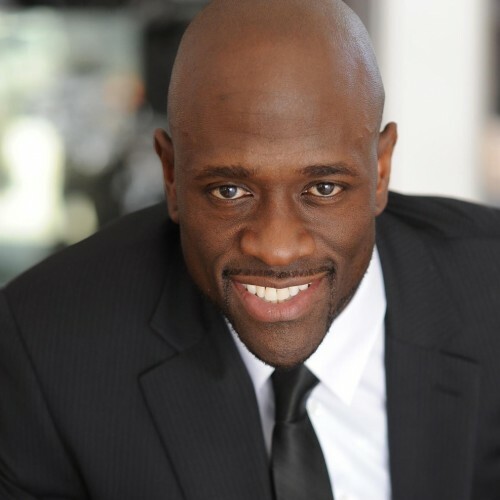 Kevin Daley is a high-energy award-winning speaker, trainer, and the award-winning author of I Never Stopped Smiling. A former 10-year captain and leader of the world-famous Harlem Globetrotters, Kevin "Special K" Daley quickly became a fan favorite worldwide and is now considered one of the greatest Globetrotters' leaders of all time. Throughout his legendary career as Showman "Special K," Kevin has been featured in hundreds of news publications and on TV shows, internationally. He has also been seen in more than a dozen TV commercials, including the favorite of Michael Jordan, himself, where Kevin played the double for Jordan in Gatorade's number one commercial of all time. Kevin has traveled to more than 95 countries and has also touched and inspired the lives of many worldwide in the sports world and corporate world. He believes in helping others to help themselves and has also authored a goal-setting workbook entitled Never Stop Your Goals to do just that. Now, the highly anticipated 1 plus one = 10 —a leadership masterpiece already creating a buzz in the business community—will be out in stores before the end of the year. As a native of Panama City, Panama, Kevin spent a few years as part of the Panamanian National basketball team. He is fluent in both Spanish and English, and he has traveled the globe sharing his message in both languages. In his new season Kevin trains, motivates and inspires organizations, associations and senior executives using his proven S.M.I.L.E.S. Leadership Formula. He recognizes his family as his main sources of inspiration. Bringing together his life story, leadership, and experiences, Kevin uses his S.M.I.L.E.S. Leadership Formula to help his clients build winning teams and increase productivity. In his first ever corporate position after retiring from the Harlem Globetrotters, he was promoted to a leadership position after only six months (a company record) and was promoted within eight months to another. Using the same principles he learned as an elite professional athlete and first-class leader, Kevin positioned himself to do what it took others years to accomplish. The S.M.I.L.E.S. Formula works! Synergize, Motivate, Impact, Lead, Empower, and Smile. Let's give your audience a mix of humor, motivation, and storytelling, all in a powerful engaging presentation by contacting Kevin now. "I Never Stopped Smiling" // 2015 Reader's Favorite Gold Medal Winner // The inspirational story of Kevin “Special K” Daley, a Guinness Book of World Record holder, internationally renowned, 10 year veteran and former captain of the World Famous Harlem Globetrotters. "Never Stop Your Goals" // A simple and very effective guide to help you make all of your goals become reality. This step-by-step workbook will organize your thoughts and create a winning plan to help accomplish all of your goals. You are in control of your own success! 2015 Reader Favorite Gold Medal Winner / Non - Fiction Biography "I Never Stopped Smiling"
Community Award for being the person who exemplifies the guiding principles of The Character and Ethics Project. Find out more about Kevin at http://kevindaleyspeaks.com.